The Lettre Sauvage Chapbook and Broadside contest submission deadline has been extended two weeks; submissions must be postmarked by November 15 to be considered. 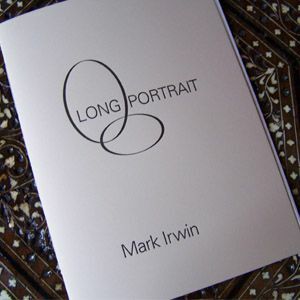 This post on the contest has more details and a poem by judge USC prof Mark Irwin. postmarked by November 15, 2008 will be considered. Submission by Email: Send to info@lettresauvage.com as a MS Word attachment. A payment request from Pay Pal for $10 will be sent to you upon receipt. Submission by Post Send to Lettre Sauvage 1310 Forest Drive Santa Paula, CA 93060 along with a check, money order, or credit card information including number, expiration and billing address. Limit 13 pages of poetry. Number all pages including the total number (i.e. “3 of 13”). Include your name and the name of the manuscript on all pages. page of your manuscript, preferably a cover sheet. Poems previously published individually are accepted. Winners will be announced February 13, 2009. You can submit more than one manuscript as long as you pay the $10 fee for each manuscript. I plan to submit work from my recent projects as well as a selection from my manuscript Love and Terror at 3:15am. In exchange for a copy of his exquisite self-published poetry collection, The Puzzle Box, I’ve also selected work to submit from Paul Squires aka gingaTao. Thankyou so much for your constant support and encouragement, Gwendolyn. I hope we win, the poems would look gorgeous printed in this way. The book is on its way. I hope you enjoy it as much as I have enjoyed our consistent and rewarding friendship over these many months.